Home > Interviews > Zanders > Interview: For me, it was clear this was the company to further boost my career. 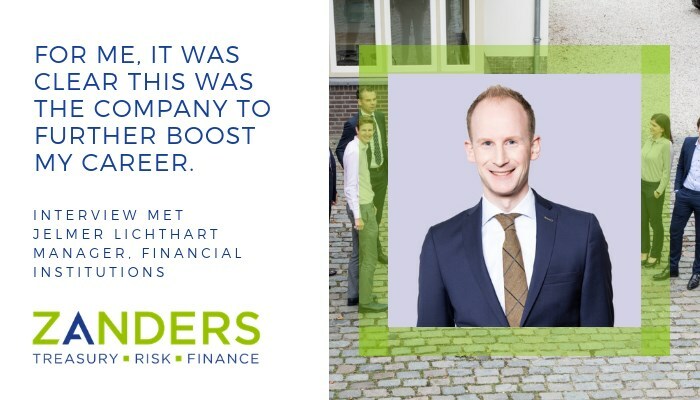 I got to know Zanders as thought leaders in the field of financial risk management. For me, it was clear this was the company to further boost my career. Accomplish results based on teamwork and the willingness of everybody to always support each other. In addition, our team consists of down to earth people who always take their job serious (but do not always take themselves too seriously). Why did you choose for consultancy? To be honest, it kind of happened to me. I started my career at the risk management department of a mid-sized retail bank. This way, I became with familiar with and enthusiastic about financial risk management and balance sheet management. Back then, Zanders was involved in a project on interest rate risk management. I got to know them as thought leaders in the field of financial risk management. For me, it was clear this was the company to further boost my career. I wasn’t completely sure whether consultancy would suite me. But when once started, it turned out quite some competencies I developed came in handy. What makes it interesting to work for ‘Financial Institutions’ clients (for example banks, insurers and asset managers)? My drive is twofold. First, particularly interesting are the projects in which the client needs the opinion or advice from an independent a specialized party. In these kind of assignments, knowledge, analytical competencies, stakeholder management and (content based) project management need to be combined to create support for a particular target solution. Talking about ‘learning on the job’, these projects are quite valuable experiences to develop as consultant and as a person. projects related to various risk types, e.g. credit risk, interest rate risk, liquidity risk, etc.